Are you glad it's Friday? I am! Welcome to my new weekly blog post- Favourite Photo Friday. It's not a very original title I know and I'm sorry about that. Any other suggestions welcome. I have many reasons for starting a weekly posting, it's good blogging habit, it gives me something to plan towards and encourages regular visits to my blog. The title is very vague so that I can let the postings evolve into what I need them to be. But for the moment my favourite photos are going to be linked with me tying up loose ends and I have a few to keep me going for the next few weeks. Today's favourite photo is my submission for South Manchester AOS's fundraising calendar. Weeks ago, as a society, we were tasked with digging out our best SMAOS photos to help put together a calendar. Being a photographer member I have literally hundreds and haven't, until today, made the time to go through them all. 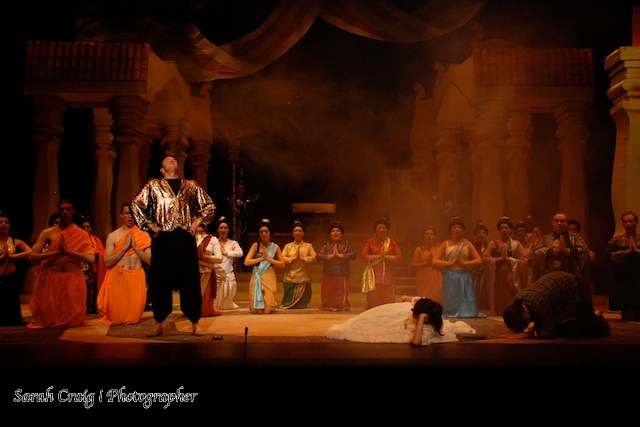 This photograph is from our production of the King & I and is long time standing my all time favourite show photograph of mine because I really feel it has the drama and atmosphere to grab the viewer. I am actually submitting 8 images for the calendar and if you click the image and go through to my flickr site you can see them all. I hope you've enjoyed my first new weekly posting. Have an amazing weekend!